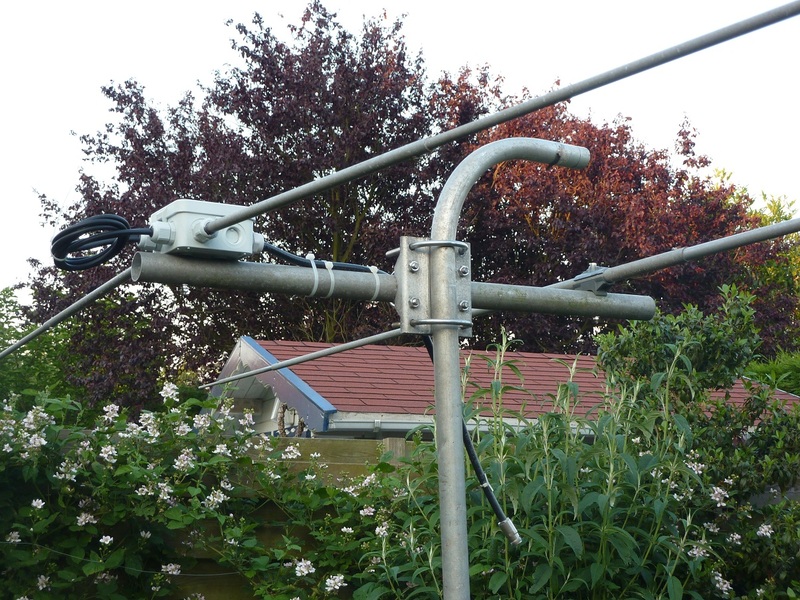 In the first weekend of june 2012, a group of members of our Radioclub PI4Z and Veron afd Noord- en Zuid Beveland, will take part in the fieldday operating under the callsign PI4NZB/P. As we want to do some experiments and hopefully make many QSO's on the 6m band (50MHz) during the fieldday, we of course need an antenna for 6m too. For logistic reasons (we need to transport the equipment by means of a small sail-yacht), all equipment is to be limited in size and weight. Thus we need a compact antenna which can be assembled on the spot. After some research, I therefore have choosen a 2el yagi - 28Ohm version, by DK7ZB design. In the past several days I've assembled one from materials found in the scrapyard, for example old radials from an HF-logperiodic beam, a short piece of boom from an old 2m yagi and some clamps. The only parts bought were an electric junction box with warts and some stainless M5 threading and nuts. 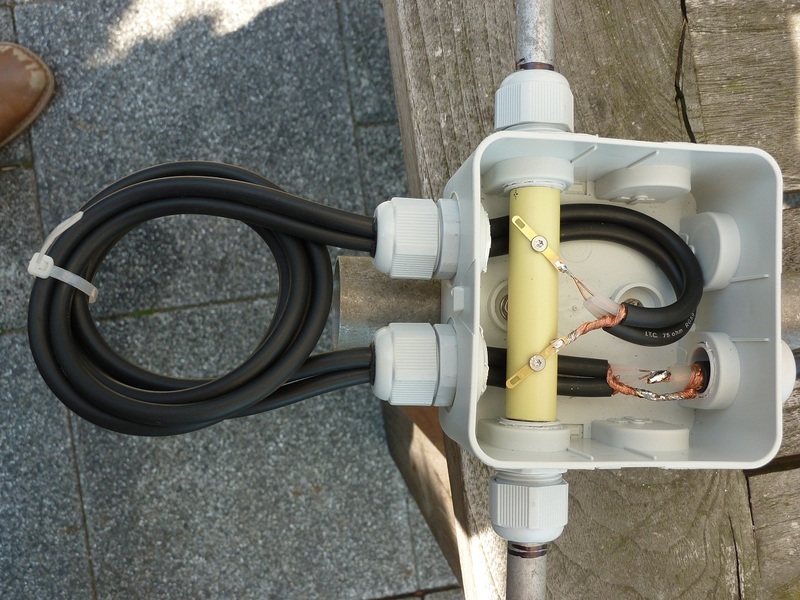 I've also constructed a simple open dipole for 4m (70MHz) in a similar but simpler way (no need for the 28-to-50Ohm match, SWR is 1:1.1-1.5 over a wide range. The 2el 50MHz antenna is now installed in my modest telescopic antenna "tower" at my home qth. Using my Icom IC-706MKIIG I've successfully made quite a few Es contacts with it (see my Logbook).